Whether you’re running a midsize or enterprise-level financial firm, your employees need to be able to access and analyze their data without calling on IT for help. Enterprise-level organizations also need software they can add to their proprietary applications. But determining what type of business intelligence (BI) solution is the right fit can be intimidating, to say the least. BI enables firms to analyze their financial records and operational statistics, revealing opportunities to improve. Such tools typically include a function for goal-setting, both long-term and short-term, allowing executives to keep an eye on sales targets, marketing objectives, and employee productivity. Any financially focused BI tool should offer ad hoc reporting capabilities, be accessible to casual users, and offer high levels of flexibility. After all, what’s the point of cutting out IT’s role if you need IT team members to write a report anyway before you can run it? A good BI tool should also be fully embeddable. Standalone BI tools are usually sufficient for internal use, but most financial firms already rely on proprietary applications. When those applications are resold to clients, an embedded analytics suite is crucial. As with any technology, the first question to ask yourself is, “What problem does this solve?” If the answer is nebulous, your so-called solutions may cause more problems than they solve. Whether the changes are large or small, companies need to make sure they’re making updates that are actually relevant to the company and its products. Pershing LLC, for example, was one of the first to offer electronic rather than paper-based consumer data report generation in the 1970s. Almost 30 years later, however, the company was still providing row-based reports in the same style. It hadn’t incorporated any ad hoc querying or interactive dashboards to meet customers’ expectations. There are a number of ways to enter the world of BI. Firms as large as PricewaterhouseCoopers have entire divisions devoted to discovering and testing emerging technologies. 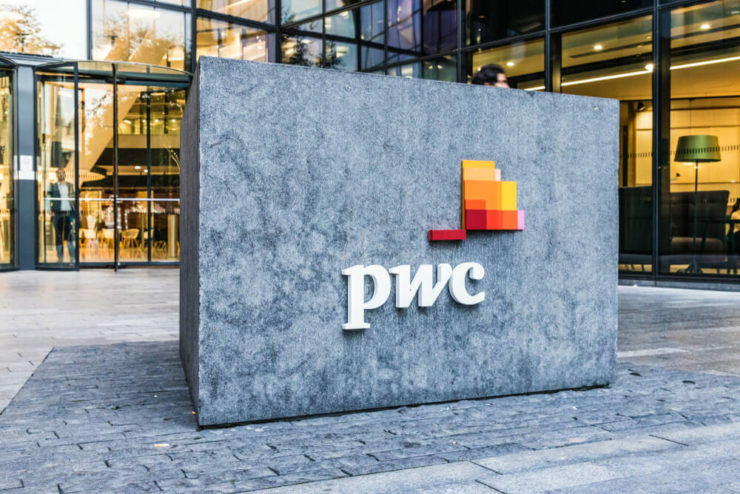 Alex Rubin, director of technology and analytics for PwC, spoke to my company during an episode of Data Talks and revealed that his organization is focused on developing three types of tech: process discovery, intelligent automation, and data and analytics. PwC also reports using numerous BI tools. A good BI tool should also be fully embeddable. Standalone BI tools are usually sufficient for internal use [...]. When those applications are resold to clients, an embedded analytics suite is crucial. One of our clients has developed an array of platform offerings using embedded BI to satisfy financial institutions’ BI needs ranging from credit analysis to loan and lease losses analysis: anything that can cut time usually spent on reporting. Another offers an international solution with embedded BI intended to ease compliance with government regulations. Any platform that can simplify and improve the accuracy of the reporting process is useful to the finance community. 1. Your team has a single source of truth. If your team’s data is housed all over the company and is inconsistent across the network, you aren’t ready for effective reporting. Clean up your data — it will need to be both reliable and compatible across data sources. Inconsistencies in user input can create conflicting data results, so train your team to be consistent with the way it enters information. Siloed data has ramifications beyond your company. For example, financial institutions with siloed data may have been a factor in the latest global financial crisis. Consolidate your team’s data stores to ensure that all teams have access to the same information, no matter how it was first entered into a siloed system once upon a time. 2. You have at least one data analyst. Once you’re certain that your data is accessible, you need to have a team member with the right area of expertise. Data analysts (sometimes called business analysts) should be well-versed in statistics and have domain knowledge of your industry. Business teams sometimes confuse correlation with causation; having a data analyst on board will prevent that error. Your data should be handled by qualified professionals. Otherwise, the insights you derive may be incorrect. If your team doesn’t yet have an analyst who can handle all the information being collected, onboard one. 3. Your workflow supports dynamic reporting. Bureaucracy at financial firms can slow down their processes. With compliance and legal concerns, there can be long stretches between the time a report was generated and the time it is presented to relevant parties. Your team needs access to dynamic reporting, which receives information straight from that single source of truth we talked about. You don’t want to have to present an Excel spreadsheet to your board or other stakeholders that has gone stale in the past month. Instead, you want a dynamic report that includes updated insights and accurate visualizations. 4. Your big data is backed by a business plan. It’s one thing to collect massive amounts of data; it’s another to have a plan for all that information. Large sample sizes are required for strong, accurate predictive analytics reports. But the technology behind predictive analytics capabilities is typically expensive. For this reason, you need a rock-solid reason for your team to invest in the platforms that generate these insights. Your team’s plan needs to ensure that the data reports it generates meet all compliance standards, too. Regulation surrounding tax code is especially complicated, and any BI investments should recognize these measures. Finance institutions hoping to keep up with other industries — and their own peers — need to invest in a state-of-the-art BI tool. But the large quantities of sensitive data involved in BI mean you can’t proceed without caution. Ensure that your team checks off each of the four boxes before investing in a new analytics platform.